In February we moved our five hives to a new apiary. Four have queens – and Faith is, unfortunately, Queenless. Today (for the second time), I put a frame from Liberty into Faith to see if we can create a new queen before the workers die off. 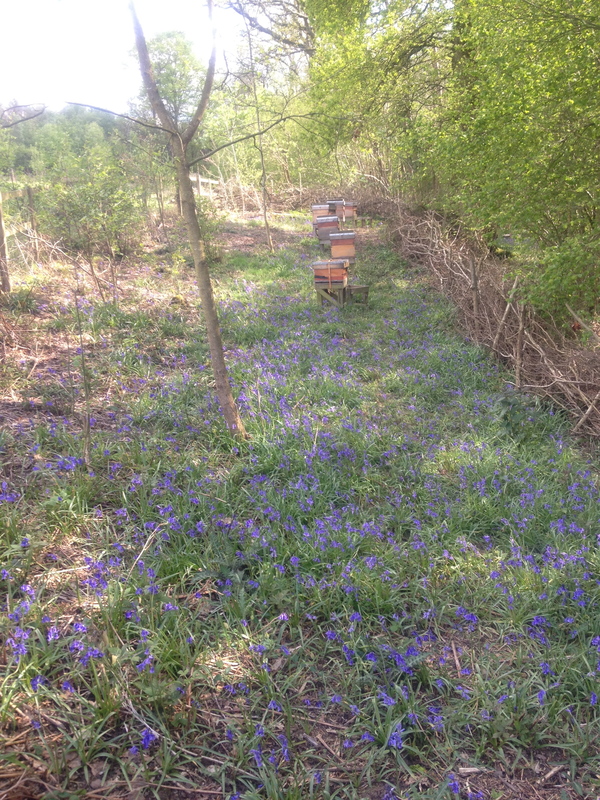 The photograph shows the new apiary – which is surrounded by bluebells in the most beautiful wood that I can walk to. It makes a difference from the 10 mile drive to the old (now out-apiary). Hope you like the look of their new location! American scientists have discovered that a fly parasite can turn honey bees into confused zombies before killing them, in an advance that could offer new clues to why bee colonies are collapsing. 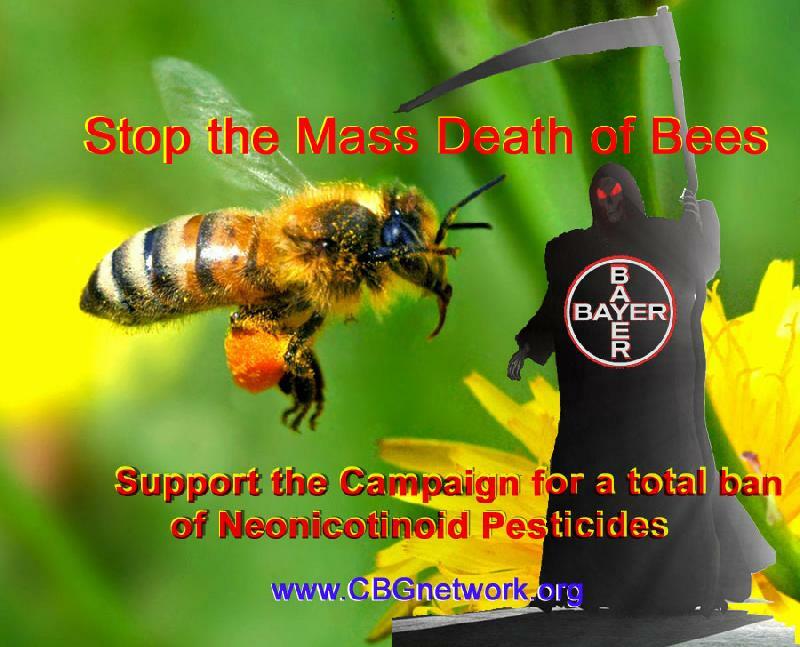 So far, the parasite has only been detected in honey bees in California and South Dakota, American researchers reported in the open access science journalPLoS ONE this week. But if it turns out to be an emerging parasite, that “underlines the danger that could threaten honey bee colonies throughout North America,” said the study led by San Francisco State University professor of biology John Hafernik. Hafernik made the discovery by accident, when he foraged some bees from outside a light fixture at the university to feed to a praying mantis he’d brought back from a field trip. “But being an absent-minded professor, I left them in a vial on my desk and forgot about them. Then the next time I looked at the vial, there were all these fly pupae surrounding the bees,” he said. Soon, the bees began to die, but not in the usual way by sitting still and curling up. These bees kept trying to move their legs and get around, but they were too weak, said lead author Andrew Core, a graduate student in Hafernik’s lab. Further study showed that bees that left their hives at night were most likely to become infected with the fly parasite, identified as Apocephalus borealis. Once bees were parasitized by the fly, they would abandon their hives and congregate near lights, a very unusual behavior for bees. 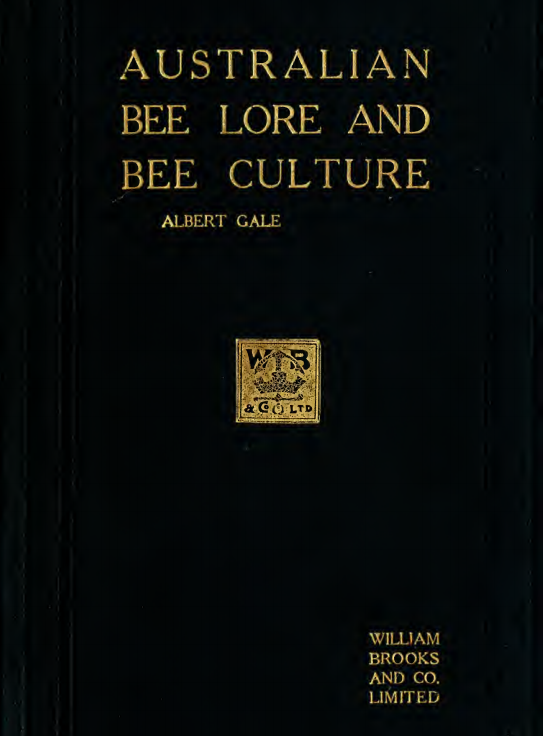 From: Australian Bee Lore and Bee Culture by Albert Gale 1912. My initial inspiration to create a curved hive was from the curved structure of honeycomb created in top-bar hives. 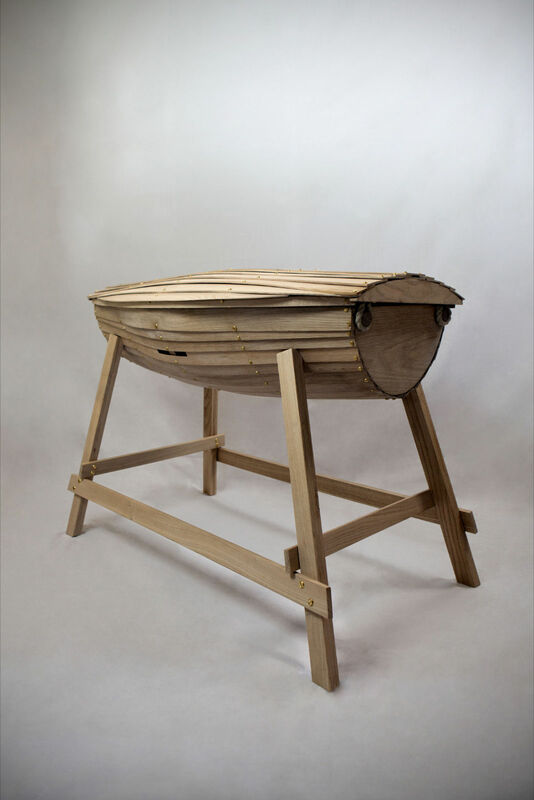 The design re-appropriates traditional clinker boat building techniques, and celebrates long-established craft practices in the UK; beekeeping and clinker boat building. The beehive is created using overlapping strips of steam bent oak and chestnut. Chestnut was chosen for the roof and the base of the hive, as it is a species native to Sussex, and has good properties for use outside. The central part of the hive is made from white oak, which is traditionally used in clinker boat building. The hive is about exploring and expanding the possibilities of existing designs to create an aesthetically satisfying and functional form, which could supplement a contemporary garden space. Despite using unconventional techniques for making a beehive, I have ensured that the construction adheres to the basic principles in order for a top-bar hive to function effectively. A swarm shall be moved into the hive next spring, and as a continuation of the project, the bees will be documented living in it. With the first two weeks on holiday, the bees had to wait until last weekend before I removed the honey. We took four full supers – which will produce a good crop – though I have not extracted it yet. Planning on that next weekend. I always leave a super on each hive to over-winter. Some beekeepers think this is a waste of good honey – but I think that the bees will be more healthy if they eat their own honey rather than sugar substitute. Whilst inspecting the hives I took my notebook out of the toolbox to find it had been leaked on by some water – and all of this seasons records were literally dissolved. Quite extraordinary! So my records are now my rusty old memory and the odd blog entry. A lesson there somewhere – perhaps use indelible ink or something?